Hmm, what nice warm colors. 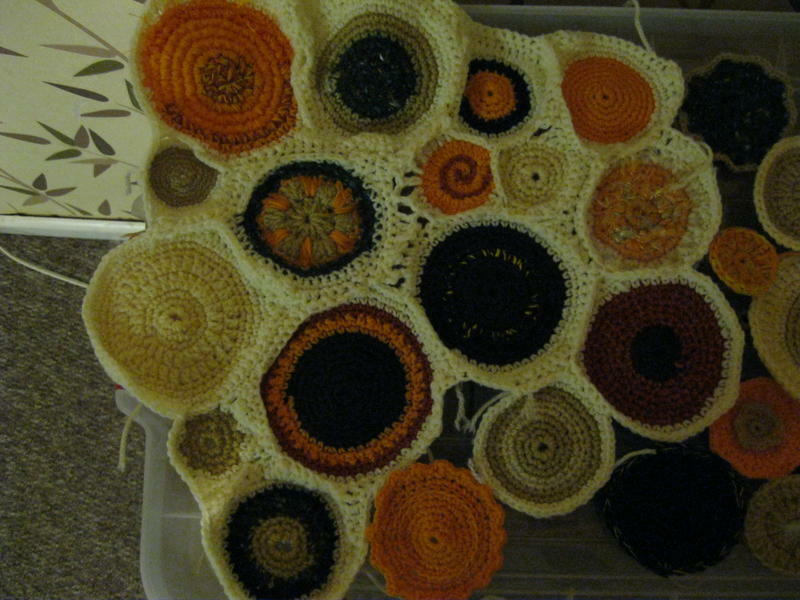 Very pretty -- I am anxious to see what your finished project looks like! 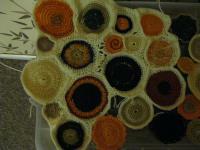 With such inviting colors and varied circles, I know the potential is fantastic! I can't wait to see it done either...it's so exciting! This is very nice. I love the colors. Beautiful work! Thankyou, was hoping to have it done by now but my 3 yr old has been ill, maybe another week or so!